1992 Bayliner 3288 Motoryacht The Bayliner 32 series is extremely popular for its ease in handling, spacious accommodations, and year-round cruising comfort. This 3288 has custom tiling and updated upholstery with coordinating curtains. Pride of ownership is demonstrated throughout. She is ready for you to enjoy this cruising season! These boat details are subject to contract. Note: Offers on the asking price may be considered. 1995 Bayliner 3288 Motoryacht A popular model for many years and the all-time best-selling boat in her class, this 1995 Bayliner 3288 Motor Yacht is lift strored and is in very nice condition. She is equipped with very fuel efficient Twin 150 H.P. Diesel Engines with 1450 original hours. There are two staterooms, head and shower, large combination settee/dinette, fully equipped galley, spacious cockpit and large flybridge. Vessel Detailed in February! Take a look and you will want to be her Proud New Owner! 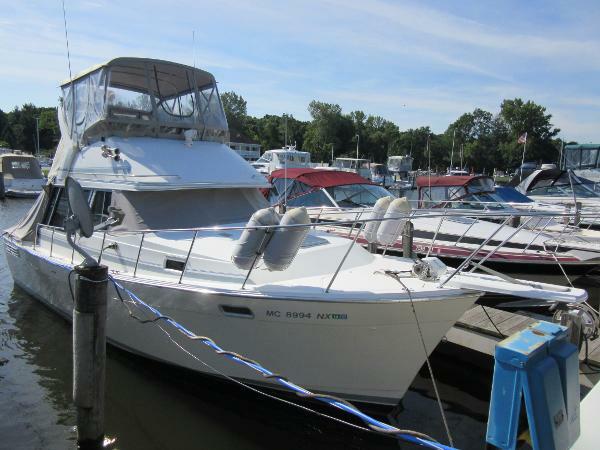 1989 Bayliner 3288 Motoryacht This is a must see if you’re shopping for this desirable Bayliner model. Good 2 Go has spent nearly its entire time on the Great Lakes. It did make The Great Loop and shows throughout as a fresh-water boat. 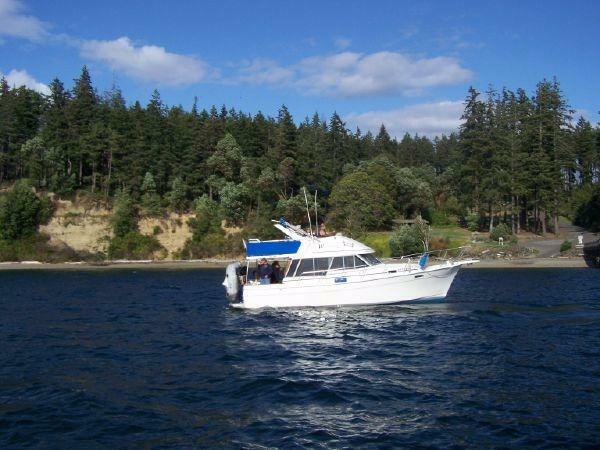 This boat has been superbly maintained and features updated bridge & cockpit canvas, plus updated exterior and interior upholstery. Exterior finishes and hardware are in excellent condition. The Bayliner 3288 Motoryacht is a unique, sought-after design. Accommodations include two staterooms, an enormous mid-cabin berth privately accessed below the dinette, plus a spacious vee berth up front and a large dinette elevated to window-height. This is a dual-station boat with ample seating up top and a very workable lower station with excellent visibility in all directions. EQUIPMENT HIGHLIGHTS INCLUDE:T-225 HP US MARINE V-8’S, 1350 HOURS W/ CLOSED COOLING SYSTEMSNEWER CANVAS, INCLUDING BRIDGE ENCLOSURE, AFT COVER, WINDSHIELD COVERUPDATED CABIN DRAPES & UPHOLSTERYUPDATED BRIDGE & COCKPIT UPHOLSTERYRAYTHEON RADARGARMIN GPSJRC FISHFINDERPOWERWINCH WINDLASSICEMAKERAMCOR SEMI-PORTABLE CABIN AIR CONDITIONER ... and much more! 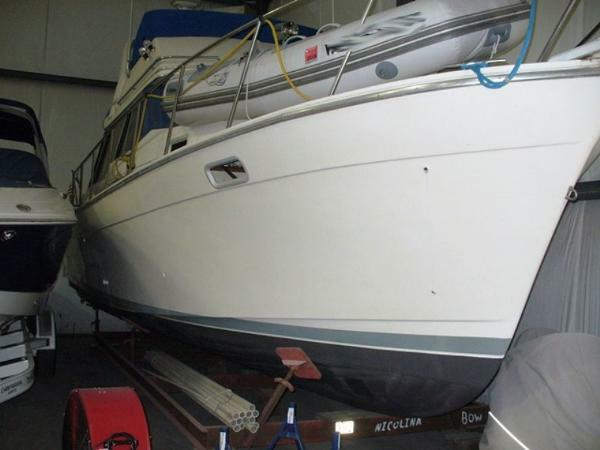 1990 Bayliner 3288 Motoryacht A ONE OWNER 3288 - Twin diesel MY that has been kept under cover since new! 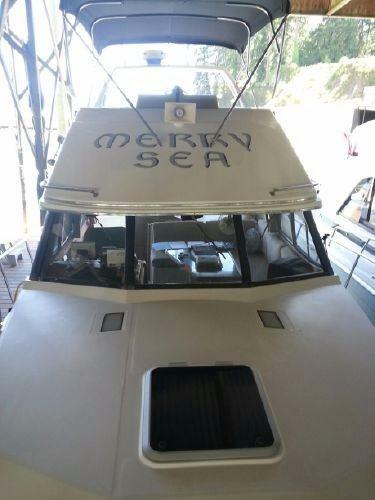 A very nice, original vessel with very good navigation aids and two heating systems for all seasons boating comfort The highly sought after covered slip will be available also. This low listing price is sure to make a quick sale! 1989 Bayliner 3288 Motoryacht The Bayliner 3288 Motoryacht Cabin features two double staterooms, a full electric galley, a complete head and a spacious salon. The self-bailing cockpit includes a full-width transom boarding platform. 1989 Bayliner 3288 Motoryacht A popular model for many years and the all-time best-selling boat in her class, the Bayliner 3288 Motor Yacht was introduced back in 1981 as the 3270 Explorer. 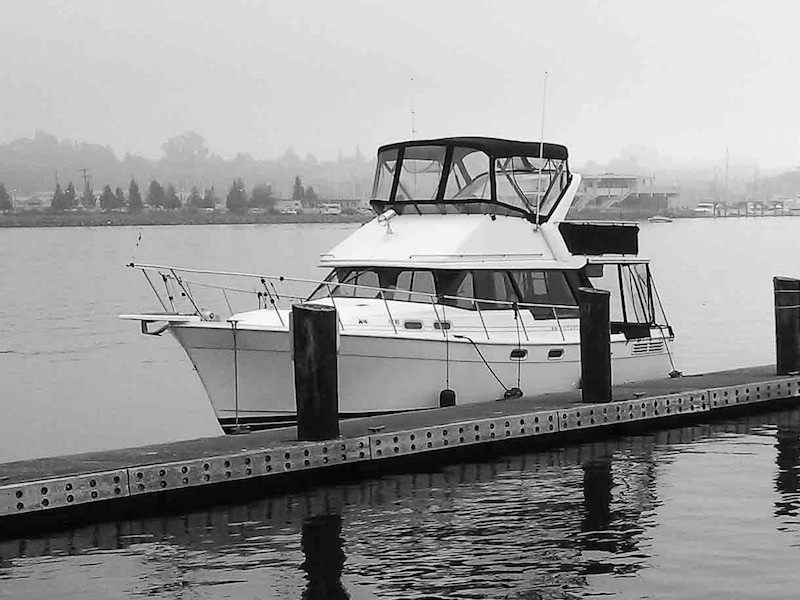 She became the Bayliner 3270 Motor Yacht in 1985, and evolved into the 3288 Motor Yacht in 1989. 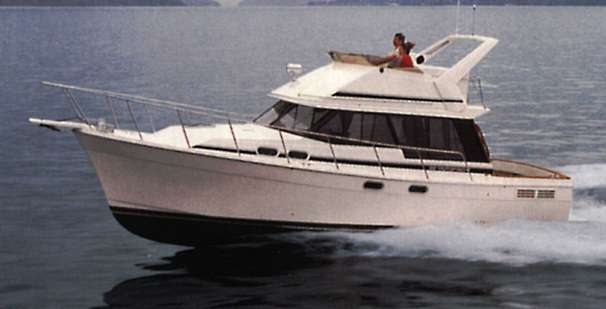 First marketed (in an era of escalating fuel prices) as an efficient family cruiser, the original flybridge was updated and a radar arch became standard in 1985. The midcabin floorplan of the 3270/3288 remained essentially unchanged over the years aside from minor cosmetic updates. A lower helm was standard, the salon is quite spacious with big wraparound cabin windows, and the private aft cabin extends beneath the elevated dinette in the salon. The cockpit is fitted with teak handrails, and the side decks are wide enough for easy access to the bow. The 3288’s lightweight hull results in an extremely fuel-efficient package.